Female health is second to none in the greater scheme of things in healthcare. Maintenance of proper reproductive health and use of contraception would go a long way in restricting disease flow and unintended pregnancy in much of the world. 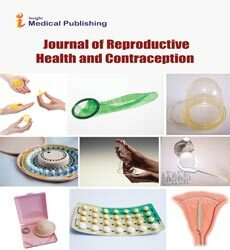 The Journal of Reproductive Health and Contraception is a leading journal in the field of reproductive biology. The current issue of the Journal of Reproductive Health and Contraception presents some very pertinent studies on contraceptive use, contraceptive laws, and HIV in the background of pregnancy. Tubal ligation or tubectomy is a contraceptive surgery wherein the fallopian tubes are separated and fixed, or clasped and blocked, thereby preventing the eggs from getting implanted in the uterus. This type of surgery commonly requires the patient to undergo general or spinal anesthesia. Women with a background of bladder disease are suggested not to undergo this process. Kanes  has authored a review on the procedure of tubal ligation, its contraindications, and its significance in the broader perspective of contraception and female health.